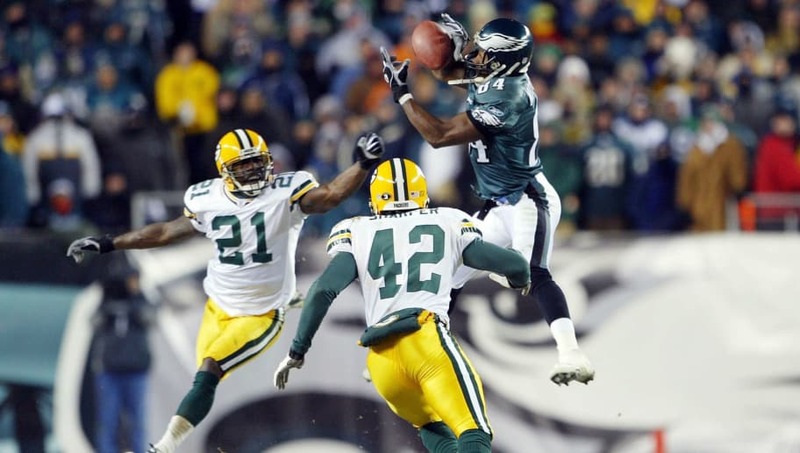 The Eagles have had some memorable plays in their 84-year history. Although they are waiting for a Super Bowl Victory, there are still many plays to celebrate. Here are the best we've seen. With the Eagles down 17-14 with a minute left in the game against Brett Favre and the Packers, Donovan McNabb threw a pass to Freddie Mitchell (aka FredEx) to extend one last drive at the end of the game. Without the hands of Fredex, David Akers and the Eagles wouldn't have been able to tie the game on a 37-yard field goal, and win the game on a 31-yard field goal. In a game at the Meadowlands, the Giants were beating the Eagles 17-12. They had the ball inside their own 20 yard line and all quarterback Joe Pisarcik needed to do was take a knee and run the clock out to preserve the Giants victory. Instead, he handed the ball off to running back Larry Czonka (which Giants fans still don't know why he did). 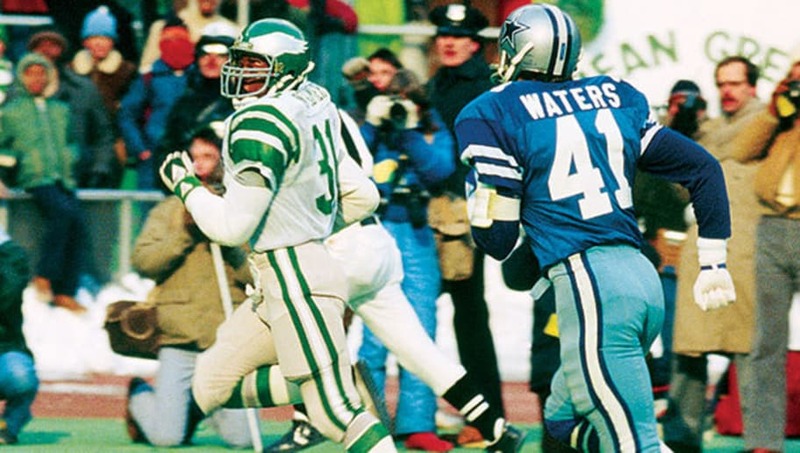 Czonka and Pisarcik fumbled the exchange and allowed Eagles defensive back Herm Edwards to score a touchdown in one of the more improbable wins in Eagles history. In 2010 the Eagles were fighting for a playoff spot in the last stretch of games in the season. Down 31-10 with just under eight minutes left to play, many fans and players had playoff doubts in their minds. Instead quarterback Michael Vick led a charge to score 21 unanswered points to tie the game at 31. 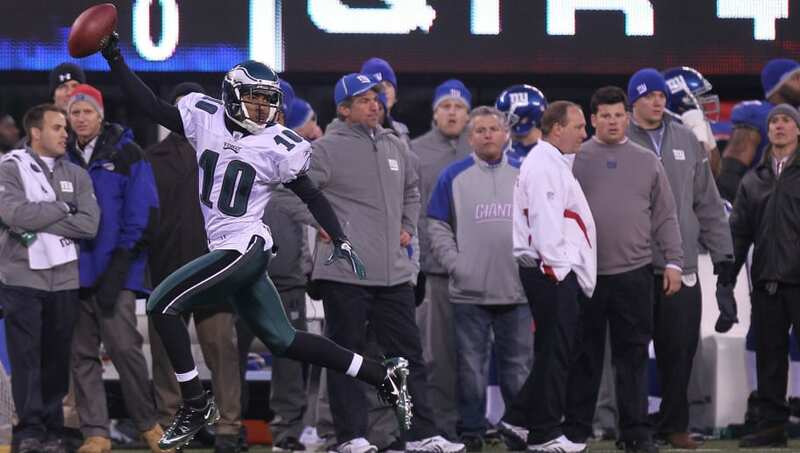 In the game's final 28 seconds, Giants punter Matt Dodge went against head coach Tom Coughlin's orders and punted the ball to one of the most dangerous players in the game, DeSean Jackson. The rest is history. 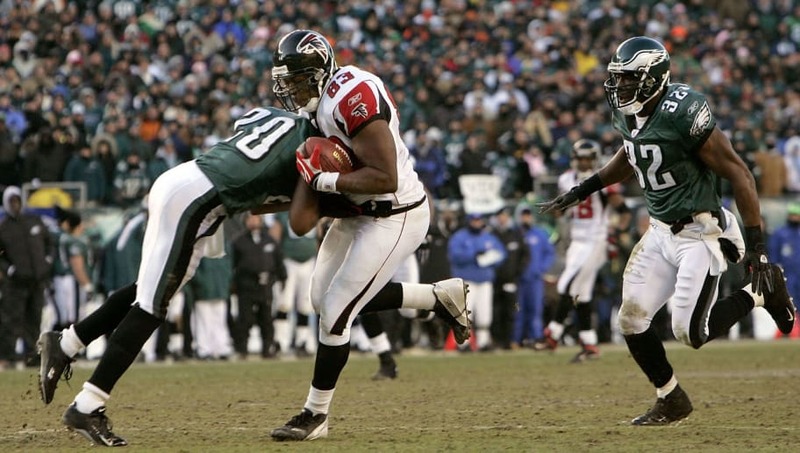 In 2004, the Eagles, after three consecutive losses in the NFC Championship, finally got the monkey off their back and won the NFC Championship game to go to their second Super Bowl appearance in franchise history. While Chad Lewis' two touchdowns helped secure the victory, the biggest play was Brian Dawkins' hit on Alge Crumpler. This play set the tone for the rest of the game as the Birds would go "on the road to victory". In January of 1981, the Eagles hosted the Cowboys in the NFC Championship game for the right to go the Super Bowl. "America's Team" was hated by all Eagles fans, due to Dallas' dominance on going to five Super Bowls and winning two of them. On the second offensive play for the Eagles, Wilbert Montgomery took the handoff from quarterback Ron Jaworski on the right side, and busted through a hole for 42 yards to give the Eagles the lead. It was that touchdown that would set the tone in the Birds' 20-7 victory over the Cowboys at the Vet to go to their first Super Bowl. In 1960, the Eagles played against the Giants for the right to play against Vince Lombardi and the Packers for the 1960 Championship game. 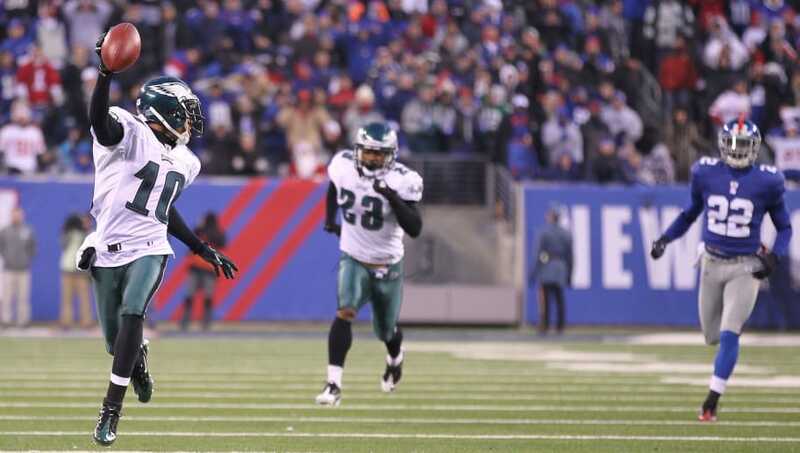 With the Eagles leading 17-10, they needed to stop the Giants last drive at the end of the game to preserve the victory. As Giants quarterback Charlie Connerly hit running back Frank Gifford with a short pass downfield, his momentum stopped as he was uplifted by the last two-way player in the NFL, Eagles LB/C Chuck Bednarik. "Concrete Charlie" knocked Gifford flat on the ground and is famously known for jumping up in the air yelling "This F*****G Game is Over!" 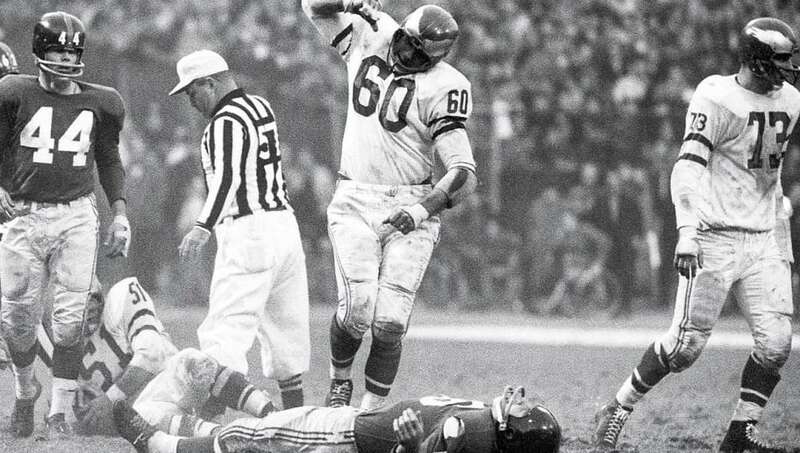 "The Hit" would help propel the Eagles to beat Lombardi, Bart Starr and the Packers in the 1960 NFL Title game.